Recapturing and honoring feminine energy feels like coming home to yourself. It’s something that’s been considered of less value in our society for a long time, but it’s where so much of your power lies. 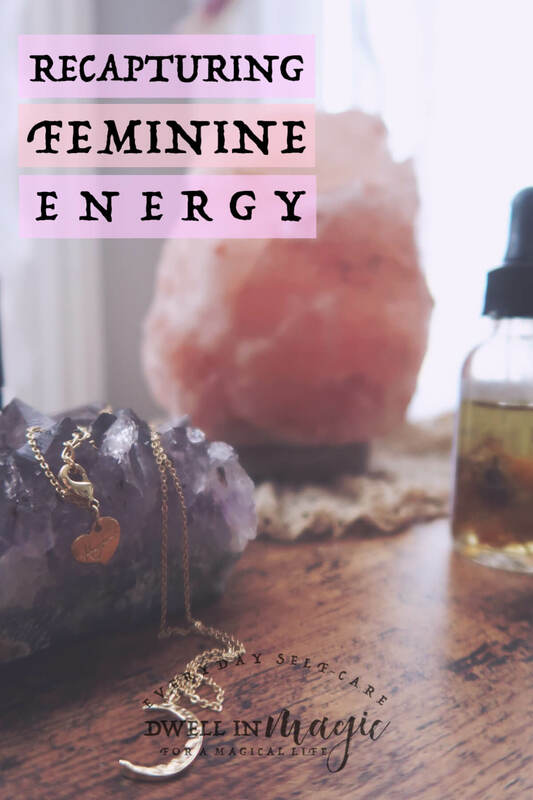 In this article I’m sharing what feminine energy is, why it will heal you, and how to recapture it. Several years ago I began practicing self-care. It started out really simple but gradually turned into a journey that took me back home to myself. More than that, it took me back to things that felt familiar in my bones even though that I had no experience of it in my life. Here’s the most beautiful, transformative aspect about self-care: it’s actually a process of reconnecting with that which you are and from where you came. It’s so much deeper than simply taking care of yourself. Because of this, you’re lead down a path of new discoveries and truths that have always existed but that you weren’t aware of. Feminine energy and spirituality is one of these things. Our society is very masculine-energy based. We value and honor taking action, being logical and achieving to name a few. Those are all great things, but they are only half of a puzzle piece. We also need to receive, be in touch with our intuition, and be still. Otherwise we burn out and don’t get to experience all that life has to offer. Where masculine energy is more logical, action-oriented and giving…feminine energy is more intuitive, reflective and receptive. Masculine energy is out in the open like the sun. Feminine energy dwells in the shadows, like the moon. For a woman (men as well), but a woman especially, it can be such a powerful experience to come back into your feminine energy and magic. Society has devalued most feminine traits, but the truth is feminine energy connects all of us to that which isn’t visible. Many women in our society are raised to believe that spirituality is mostly masculine. Most preachers, priests, and holy men are…well, men. That sends a big message in and of itself, despite any explanations that might be given for it. God is interpreted in our minds as male, which might be very affirming for men but maybe not so much for women. Feminine energy has healed me in a way that is difficult to describe. Feminine energy is the undercurrent in a stream. You can’t see it, but you can feel it. And the more you make yourself aware of it, the more you realize it’s always with you. Feminine energy is pure magic in my opinion. My whole life I believed men had a closer connection to the Divine, but I’ve come to learn that it’s actually the feminine energy within us all that truly connects us to the Divine. It’s the still, quiet energy of the feminine that connects us to ourselves and the spiritual realms. Here’s how to recapture your feminine energy. If you haven’t already started, I would first suggest slowing down and connecting with yourself. This will get you started on a crumb trail that will lead you exactly where you need to go. I have practiced a morning and nightly self-care routine for the last several years. I normally do some version of both every day. You could also try this healing self-love ritual to slow down and connect with yourself. Slow down in general. Let society glorify busy and burnout while you enjoy the still, peaceful moments that connect you to a deeper part of yourself. 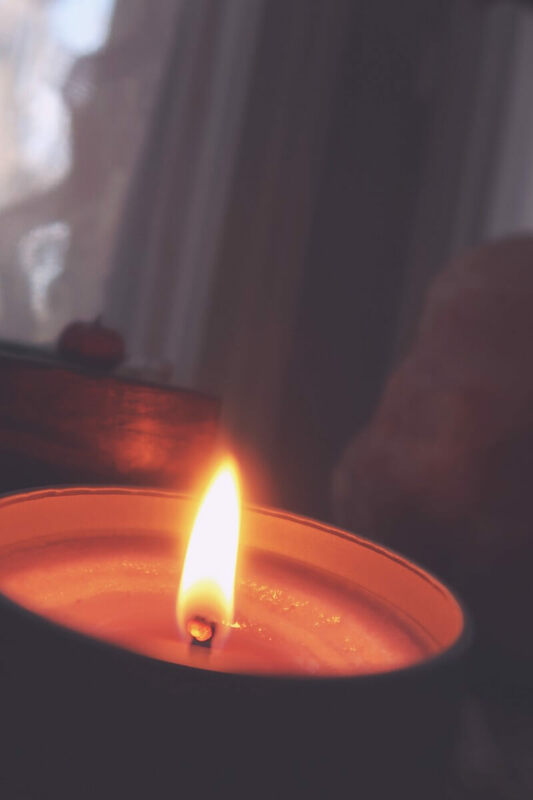 Create a meditation space and sit there, even if it’s just to look at a candle or out the window. Drink your coffee or tea in silence whenever you get the chance. Go sit on your porch or patio and just be still. Just allow yourself the freedom to breathe. It’s elusive and you can’t quite put your finger on it. The more you awaken it, the more loud it becomes in only the way intuition can. Everyone has it, but it’s presence in women is so strong it’s called our 6th sense. Here’s the thing about intuition–it will give you the answer, but not the why. This is why so many women feel like they’re not intuitive because they think intuition would include the answer along with the feeling, but that’s really not how it works. When you intuitively feel or see something flash across your mind, you’re not crazy. Most intuitive answers will seem illogical or won’t have good reasoning behind them, but that’s the power of intuition and the secret that goes along with it. You don’t access intuition with reason and logic–it’s something that can only be felt. This is a feminine energy power, remember. Logic doesn’t rule here. One way I’ve really gotten more in touch with my intuition has been through different forms of divination. At first I was apprehensive because I was raised Southern Baptist and divination is seen as from the devil. Luckily I don’t believe in the devil anymore! But it’s made me sad to realize that feminine forms of spirituality have been casted in this light. 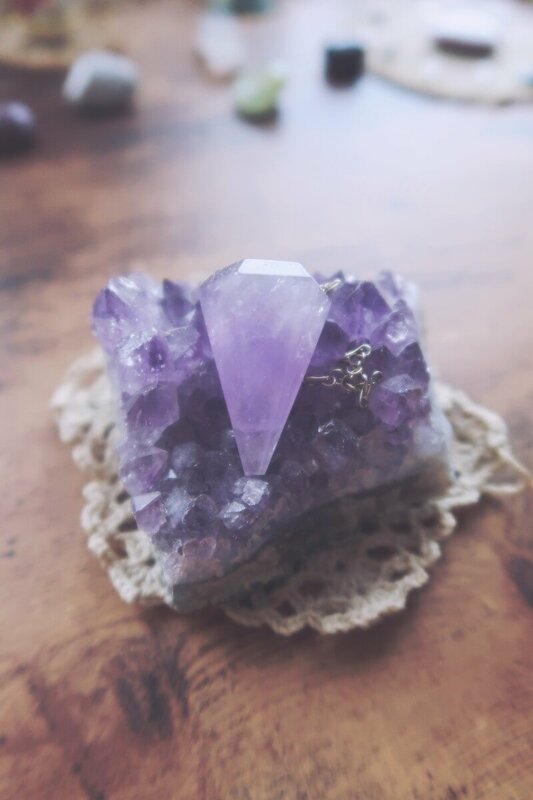 Divination is such a beautiful way to connect with your higher self and the Universe at large–whatever higher being you choose to believe in. My favorite form of divination has been oracle cards, pendulums, and automatic writing (which is basically just journaling and why I’m such a huge advocate for it). You can read this post I wrote on how I use my oracle cards and which decks are my favorites. I also loved this book which really introduced me to using pendulums. What’s so cool about the female menstrual cycle is that it’s like a built-in system that takes us through all of the steps of the manifestation process. We start with quiet stillness, moving to inspired action, into feeling amazing and then back to a quiet, reflective state. The only problem is that most women have been taught to view their cycle as a problem. It’s not honored or respected by the woman herself. And when a woman is out of touch with her cycle, she isn’t connected or in a state of maximum mental, emotional, or physical health. I would recommend with starting to track your cycle. If you don’t have a cycle, I would begin tracking your moods every day, because even if you don’t have a cycle, your emotions still do! You still have womb energy–you don’t need the actual womb itself. Begin to notice where in the month you feel inspired, the times you feel really alive and turned on, and the times when you’re wanting to retreat. Honor all of those times, especially the last one since that’s the one that society tells us is bad or lazy. When you bleed, take care of yourself. Don’t push yourself to go all out or try to suppress this time. It’s actually when you’re going to be most intuitive and connected to the Divine. Take warm baths (and please don’t tell me you’re disgusted or scared of your own blood. We’re women here and we know our blood isn’t unclean like they’ve tried to tell us for centuries.) Use a heating pad for your pains. Make your favorite foods and try as much as you can to be still. Again, even if you don’t bleed, it doesn’t matter. You still have times of the month when you feel more quiet and withdrawn, and you should honor it. Your cycle is the perfect representation of manifestation. You’re birthing and releasing once a month. It’s not a damnation or a curse–it’s an extremely powerful experience and a monthly reminder for you to slow down and reflect. In addition to connecting with your own cycle, reconnecting with the moon is very similar and it’s a powerful monthly visual that reminds us to honor all the cycles of manifestation. The New Moon is the time when you plant a new seed or intention. The Waxing Moon is a time of taking inspired action. The Full Moon is a time to celebrate and feel gratitude for all that you’ve been given. The Waning Moon reminds us to go back within to reflect and release what is no longer serving us so that we can prepare for the new cycle. It’s such a beautiful, powerful habit to introduce into your self-care routine. Masculinity is represented by the Sun and femininity by the moon so it only makes sense that the moon will guide you back to yourself. I believe all women feel a special connection with the moon. It cycles just like we do and it’s a bit more mysterious and reserved. It’s soft while being extremely powerful, affecting our tides and all of nature. 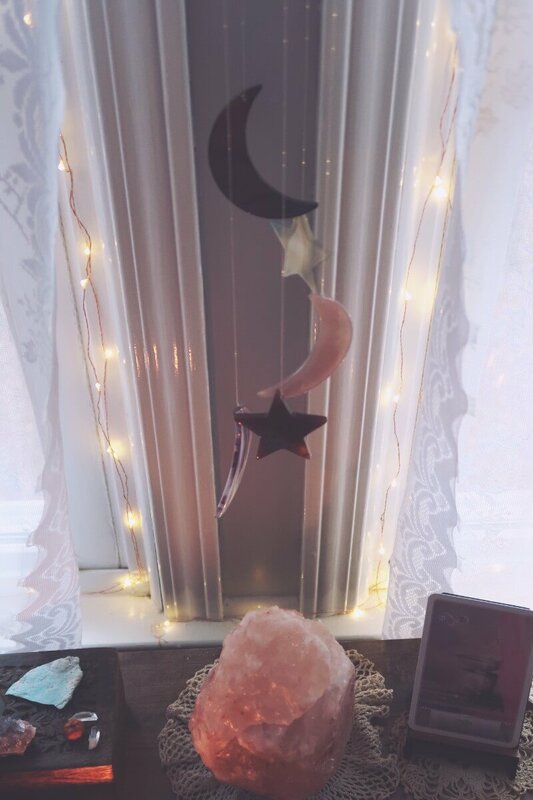 One of the most transformative aspects of my self-care routine was when I began adding in moon self-care rituals. Those are nights that I connect with my higher self and receive guidance and inspiration. It’s also a perfect way to fit in one to four self-care rituals a month. I don’t always do a ritual for every main moon phase, but the moon is always there reminding me to connect. 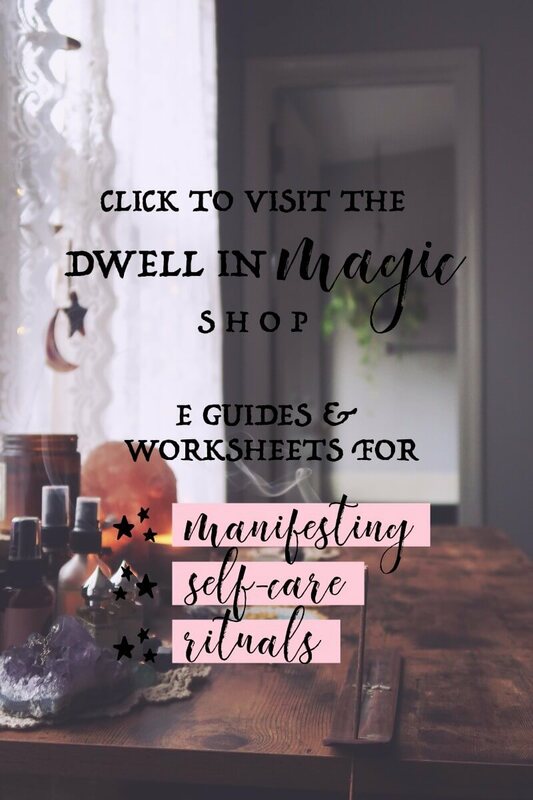 You can also check out all of my other moon self-care posts here. I hope you’ve enjoyed this article. Recapturing and embodying your feminine energy, whether you’re a man or a woman, just makes for a more balanced, healthy and healed person. 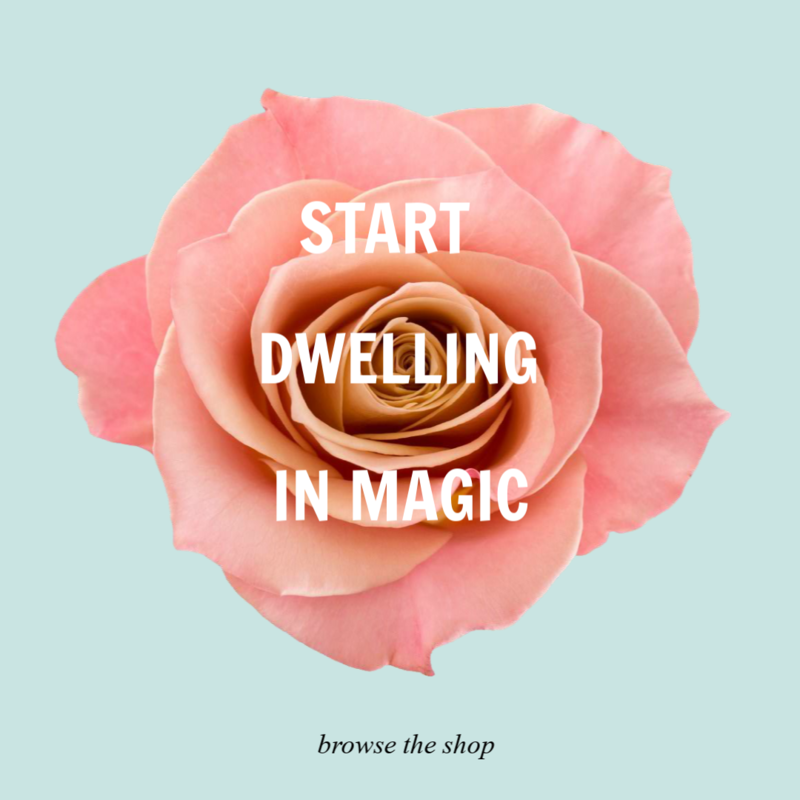 Jessica Dimas is the creator of the well-loved moon ritual worksheet bundle Manifesting Magic with the Moon. Connect with her on Facebook and Instagram for more inspiration and updates. I’ve followed you for years now. I was wondering if you have ever taken that Meyers-Briggs Personality Test thing? I know you are all about self care and self discovery like I am. Finding out my personality results, and then learning about my personality, has healed me in so many ways. For so long I thought this was wrong with me or that was wrong with me and then I learned that it’s just my personality. I’m curious what yours is (I’m an INFJ). I’m also a Highly Sensitive Person, an empath, and an introvert. All things I think you’ve said you are. My pinterest feed is filled with stuff on being an INFJ. Every day I find something and go “yeah…I do that too,” or “that’s why that drives me crazy,” LOL!! Yes!! I’m an INFP. I am obsessed with the MBTI and have found it extremely healing! I’m always telling people they should find out which type they are so they can understand themselves and everyone else better. I used to take things much more personally but now I come from the perspective of “that’s how their type responds, it has nothing to do with me” 🙂 I’ve thought about doing a self-care post for the types. Like you said, it’s them not us. And that is freeing! So it’s good to know your own MBTI, but also great when your family chooses to take the test as well.